AND INCREASE YOUR STORE'S ATTENDANCE. The online interior design app advertising your catalogue in 3D. Teoweb, the new online software suit for manufacturers aiming to win over the loyalty of their retailers. 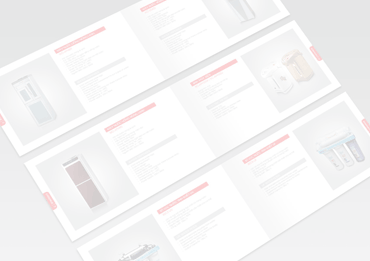 An easy and convenient way to advertise your product catalogue and prices. A set of features designed to retain your distributors. Stores can enjoy free of charge applications, with no conditions or commissions. A family of tools that can be easily integrated into Teowin, to automate and simplify all the company's processes. Teoweb Planner is intended for manufacturers aiming to win the loyalty of their distributors network, presenting them with a free online application to design 3D interiors with the products catalogue. In addition, Teoweb also provides access to the manufacturer's virtual showroom to visualise the 3D projects exhibited. That's why Teoweb is the ideal solution if you want to get closer to your retail outlets and easily promote your products and offers. The online application allowing retail outlets to design 3D projects with your catalogue. Teoweb Plus enables you to manage your orders online. Among its many features, Teoweb Plus edits quotes in accordance with the manufacturer's calculation system, sends orders to the factory and tracks the orders. This application is intended for furniture manufacturers aiming to automate and simplify the tasks carried out by their stores, while developing a more professional brand identity. The manufacturer can easily manage his orders online. Teoweb Site Service integrates several tools into one single web portal: Teoweb Planner, Teoweb Plus and more… A powerful internal manager enables you to define personalised access to the tools and adequate information for each user - such as a messaging system giving access to a general panel board or a private forum dedicated to the interactions between the factory and the retailer. Teoweb Site Service is the most comprehensive solution of the Teoweb family, meeting manufacturers main needs: wining consumer loyalty for the stores, managing information and attracting new customers. The most comprehensive online platform for the manufacturer, facilitating the collaboration with his retailers.